Nike art gallery sits within a towering white-clad multi-story building at No. 2, Elegushi Road, 3rd Round About, Lekki-Epe Expressway, Ikate Bus Stop, Lekki Phase-1, Lekki, Lagos. 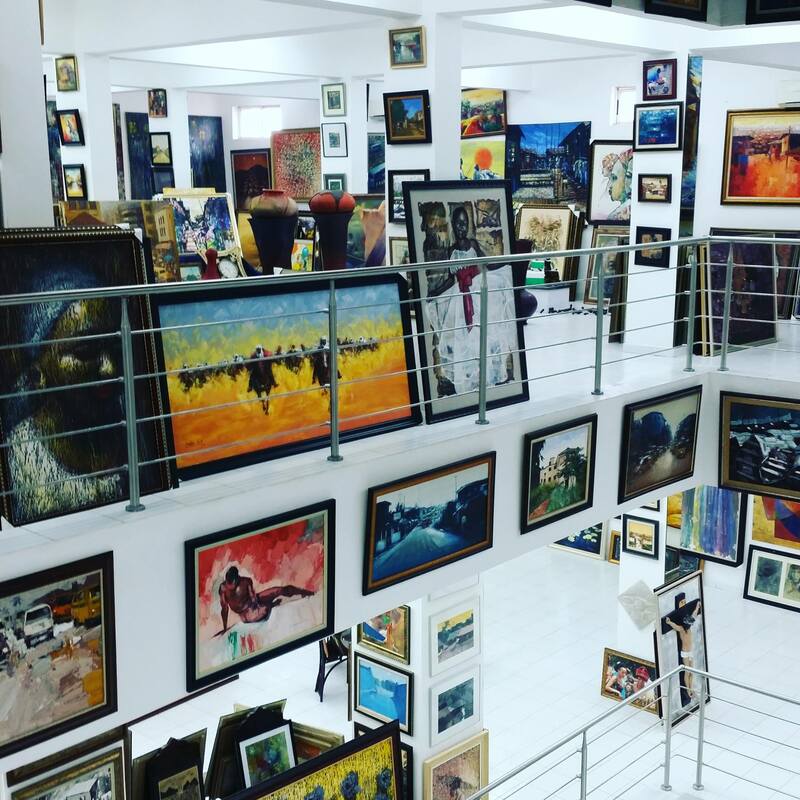 Rele Gallery, located in Onikan, Lagos, is home to accomplished, globally renown and keenly collected artists and was found with a mission to trigger a newfound appreciation, followership of and engagement with the arts in Nigeria. RELE has been on the mission in different capacities via art salons, installations since 2010, all of which crystallized into the formation of a gallery in February 2015. Rele, the space is an unprecedented, unconventional, contemporary art space that marries two symbiotic purposes: to offer first-rate art for public consumption and nurture the creators of the art, bringing the world to their work, exposing a larger, global audience to African contemporary art.